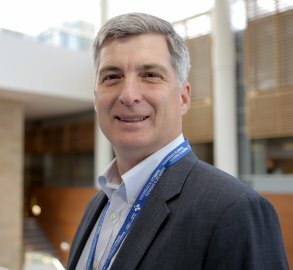 A study co-led by Dr. Dean Fergusson found that using lower hemoglobin thresholds to transfuse red blood cells during and after heart surgery is just as safe as using traditional thresholds. Hemoglobin is a protein that delivers oxygen to the body’s tissues. Some physicians give blood transfusions during or after surgery to keep a patient’s hemoglobin levels from falling, while others wait to see if the hemoglobin levels remain stable. In the study published in the New England Journal of Medicine, over 5,200 heart surgery patients were randomized to receive transfusions based on either a lower or higher hemoglobin threshold. There was no significant difference in the outcomes of these two groups after surgery. The lower threshold also reduced the number of patients who received transfusions by 28 percent. This could help reduce the amount of blood transfused and related health-care costs. See news release from St. Michael’s Hospital for more. Co-authors: Mazer CD, Whitlock RP, Fergusson DA, Hall J, Belley-Cote E, Connolly K, Khanykin B, Gregory AJ, de Médicis É, McGuinness S, Royse A, Carrier FM, Young PJ, Villar JC, Grocott HP, Seeberger MD, Fremes S, Lellouche F, Syed S, Byrne K, Bagshaw SM, Hwang NC, Mehta C, Painter TW, Royse C, Verma S, Hare GMT, Cohen A, Thorpe KE, Jüni P, Shehata N; TRICS Investigators and Perioperative Anesthesia Clinical Trials Group. Funders: All research at The Ottawa Hospital is supported by generous donations to the hospital. This study was also supported by the Canadian Institutes of Health Research, the Health Research Council of New Zealand, and the Australian Government – National Health and Medical Research Council.